Russia’s hybrid war against Ukraine is now in its fourth year, but there was a time when few expected it to last even four weeks. The virtually bloodless seizure of Crimea, which fell to Russian troops in early 2014 without a fight, led most observers to conclude that Ukraine was effectively defenseless and at Moscow’s mercy. This was certainly the consensus view in the Russian capital in spring 2014, where many of the bolder spirits began speaking of celebrating the traditional May holidays in Kyiv itself. Such swagger seemed perfectly reasonable – at the time, Ukraine was still reeling from months of anti-government protests that had spread chaos across the country before culminating in the flight of President Yanukovych and the collapse of his entire administration. The interim Ukrainian government that hastily replaced Yanukovych was widely perceived to lack constitutional legitimacy and was certainly in no position to risk a military confrontation with the Russian Federation. A clear window of opportunity had opened for Moscow to reassert itself in mainland Ukraine and prevent the country’s geopolitical pivot towards the Euro-Atlantic community. 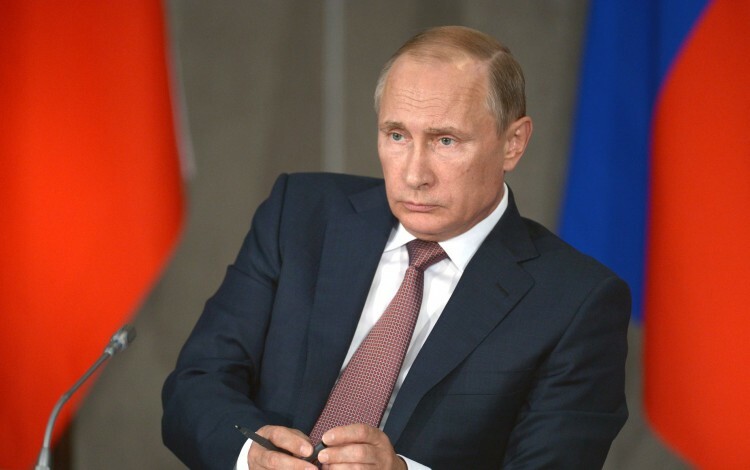 Encouraged by the stunning success of his initial gamble in Crimea, Putin decided to raise the stakes even higher and take what was arguably the biggest risk of his entire political career. The subsequent operation that unfolded in March and April 2014 envisaged the conquest of half Ukraine through a series of localized uprisings led by Kremlin agents supported by irregular Russian forces and local collaborators. These newly acquired territories were to become “Novorossia”, or “New Russia”. If successful, Putin’s bold offensive would erase independent Ukraine from the map and radically alter the entire European balance of power. It was a well-planned and centrally coordinated campaign. Leaked telephone conversations and hacked emails of senior Kremlin advisors including Vladislav Surkov and Sergey Glazyev have since provided considerable detail on Russia’s efforts to seize control of regional administrations in key Ukrainian cities throughout the south and east of the country including Kharkiv, Dnipro, Odesa, and Kherson. The information contained in these leaks tallies closely with events on the ground in Ukraine as the Kremlin operation unfolded. The model was always the same – Russia sought to take control of regional administrations through local proxies, who would then call for direct Kremlin intervention. Meanwhile, Moscow massed entire Russian armies on the Ukrainian border to discourage Kyiv from fighting back. For a few precarious weeks, Ukraine’s chances of survival as an independent state appeared to be rapidly receding. However, the much-feared Russian march to the Dnipro never quite materialized. Instead, Russian uprisings were stifled across southeast Ukraine and the Kremlin found itself restricted to a small bridgehead within the boundaries of Donetsk and Luhansk oblasts in Ukraine’s easternmost borderlands. Three years on, they are still there, stuck in a quagmire of their own making. Why did Putin’s ambitious plans for a new empire in mainland Ukraine fall so dramatically short of expectations? Perhaps understandably, Russian planners completely underestimated Ukraine’s capacity to fight back. Thanks to years of underfunding and corruption, the Ukrainian military had just 6,000 combat-ready troops available in spring 2014. This was a ridiculously threadbare force - incapable even of protecting the country’s borders, never mind defending its towns and cities. From the Kremlin’s perspective, this made the coming offensive seem like a foregone conclusion. What Moscow failed to anticipate was the wave of patriotic emotion that surged across Ukraine in the wake of Russia’s hybrid assault. Thousands of Ukrainians took up arms in the spring of 2014, forming volunteer battalions that bolstered the country’s paper-thin defenses and stopped the Russian advance in its tracks. Behind them stood an army of civilian volunteers who provided improvised logistical support including everything from food and uniforms to armor and ammunition. In many of the cities targeted by Russia’s hybrid offensive, local communities mobilized to thwart the Kremlin’s plans, taking to the streets and filling the gaps created by corrupt and ineffective state institutions. This miracle of volunteerism saved Ukraine and placed the Kremlin in its current predicament. It is hardly surprising Russia failed to predict the Ukrainian backlash its attack would provoke. Ever since the collapse of the Soviet Union, the Kremlin’s Ukraine policy had been driven by a toxic and self-defeating blend of wishful thinking and colonial condescension rooted in notions of Ukraine as a component part of the historic Russia state. Over the years, Vladimir Putin has repeatedly stated his conviction that Ukrainians and Russians are “one people” fated to remain bound together. There is little to suggest he envisages this as an equal partnership. Indeed, in 2008, the Russian leader reportedly told US President George W. Bush that Ukraine was “not even a proper country”. Such beliefs are by no means limited to the upper echelons of the Kremlin. They run deep in Russian society, where many still struggle to accept the reality of Ukrainian independence and regard Ukraine’s post-Soviet detachment from Russia as both artificial and temporary. In this context, Ukraine does not quality as a foreign country in the manner of France and Germany, or even fellow post-Soviet nations like Georgia and the Baltic states. These assumptions of indivisibility are rooted in the deep historic ties connecting Russia and Ukraine, including a shared Orthodox faith and Slavic ethnic identity. Both nations trace their roots back to the early medieval Kyiv Rus state, and pay homage to the same princely Slavic ancestors. During the twentieth century, the lines separating Russia and Ukraine grew increasingly blurred due to relentless Russification campaigns in Soviet Ukraine and massive population transfers in both directions. As a result, millions of families now have relatives on both sides of the border. Modern Russia and Ukraine remain culturally closer than almost any other two European nations. Until the outbreak of the current conflict, they inhabited a common pop culture universe encompassing the same set of celebrities, TV shows, movies, literature, music, and everyday points of reference. Jokes did not get lost in translation. Social media memes passed effortlessly between Russian and Ukrainian users. Ukrainian pop stars were household names in Russia, while Russian soap operas were primetime hits on Ukrainian channels. The casual intimacy and intergenerational familiarity underpinning this relationship has made it particularly difficult for Russians to accept Ukrainian attempts to gravitate towards the Euro-Atlantic world. Perhaps inevitably, many have chosen to see this process as an inexplicable and despicable act of betrayal. Such attitudes overlook the differences that have always existed between Russia and Ukraine. Despite the cultural closeness of the two nations, Ukraine has a long history of attempts to assert a separate national identity. This struggle stretches back at least to the mid-nineteenth century, and arguably far further. It has always been part of the relationship, despite repeated and often brutal attempts by the Tsarist and Soviet authorities to suppress it. In many ways, the events of the past three years are merely the latest chapter in what is one of European history’s longest-running epics. Since the collapse of the USSR, the differences between the two countries have become more and more prominent as Ukrainian and Russian societies set out on increasingly divergent trajectories. Ukraine emerged from the chaotic 1990s eager to follow the path of European integration, while Russia sought a return to the stability of authoritarian empire. An entire generation of Ukrainians with no personal knowledge of the shared Soviet past came of age, giving voice to the country’s growing sense of self. They overwhelmingly embraced the idea of Ukraine’s European identity, while rejecting reunion with a Russian state that appeared to be moving in the opposite direction. This growing rift with Ukraine has been genuinely distressing for many in Russia, while also proving extremely awkward for the Kremlin. Rather than acknowledging the diverging paths of the two countries, Moscow has preferred to portray manifestations of Ukrainian independence as the work a radical nationalist fringe in league with foreign agents. 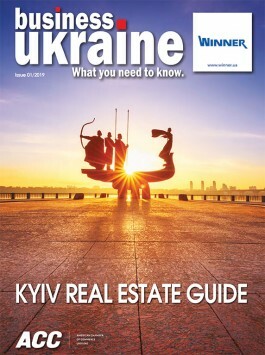 Famously, the Kremlin has attributed Ukraine’s two post-Soviet popular uprisings almost exclusively to this cocktail of nationalist extremism and insidious Western influence, despite the decisive role played by millions of ordinary Ukrainians in both the 2004 Orange Revolution and the 2014 Euromaidan Revolution. These comforting fictions led Russia into the disastrous miscalculations of the Novorossia campaign. Based on its own carefully curated vision of Ukraine, there was every reason to expect a warm welcome when Kremlin agents seized control of entire regions and began calling for Russian military support. When this welcome did not materialize, Russia placed the blame on a motley crew of phantom fascists, CIA agents and other international villains. In reality, the Kremlin had simply failed to appreciate the strength of Ukrainian national spirit – especially among the country’s millions of Russian-speakers and those with no Ukrainian ethnic heritage. This failure was the direct result of decades of Ukraine denial throughout Russian society. The resulting conflict has plunged the world into a new Cold War and caused untold suffering to millions of Ukrainians, but it has also consolidated Ukraine’s sense of national identity while reminding both local and international audiences of the differences between these two historically close nations. The Kremlin’s Novorossia project was supposed to end what many in Russia see as the aberration of Ukrainian independence. Instead, it has cemented the country’s place on the European map while earning Putin the unwelcome title of the man who lost Ukraine.